We’re ranking some of the top overnight beauty products that will not only pamper you before your big day, but will leave you glowing and radiant for it. If there’s one day you want to look your absolute best, it’s most likely your wedding day, when you’ll not only marry the love of your life, but also have more photos taken of you than ever before. 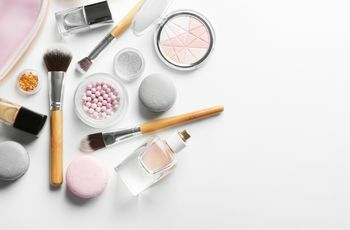 While there are several things you can do in the months and weeks leading up to your wedding to feel and look your best, much of how you’ll look the day of has to do with your skin and hair care regimen—and overnight beauty products can be super-helpful in this endeavor. 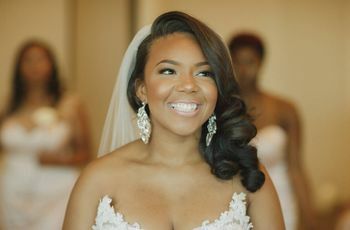 You’ll want to take extra precautions not to use overnight beauty products on your skin or hair that could cause problems for you on your wedding day, such as ingredients that might make you break out of ones that could leave your strands more limp and flat than usual. We recommend testing out products in the months before your wedding to ensure that you won’t have a negative reaction. Get your skin prepped and ready for your wedding day with these overnight beauty products. This topical skin oil might be on the pricey side, but it’s one of the most heavenly bridal beauty treatments that will last you a long time. It’s also ideal for just about every skin type—from oily and combination to dry and sensitive. It’s secret ingredient is retinol, which works to reduce the appearance of pores and tiny fine lines so your makeup artist has a smooth, refreshed palette to apply makeup on in the morning. It’s carefully balanced with blue tansy and German chamomile essential oils, which are both rich, soothing and calming even for sensitive skin. No matter your wedding-day hairstyle, you’ll want to make sure your locks are hydrated and healthy to withstand heat styling of any kind. This deeply nourishing overnight mask gives your hair the TLC it deserves on the night before your wedding. It’s free of harmful ingredients such as sulfates, phthalates and parabens and packed with a blend of marine botanicals that repair damage. Let’s face it: You might not get a ton of sleep in the days leading up to your wedding. But don’t worry—with a skin refining oil like this one from Origins, no one will ever know. For those fighting bouts of breakouts, this product is enriched with salicylic acid, which will unclogs pores and regulates skin cells. It also contains nourishing ingredients like vitamins C and E as well as 8 silky plant oils including cranberry seed, sag and pomegranate. This double-duty overnight beauty product can be used as a mask for your dry strands or you it can be used as a leave-in conditioner—either after your shower while your hair's still wet or post-blow dry for added smoothness. It contains powerful carrageenan, a water-binding agent that helps your hair retain moisture, and rhodophycea extract, which is naturally derived and promotes healthy hair. 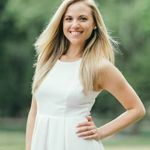 In addition to arming your skin with the right nutrients it needs to radiant on your wedding day, it’s also beneficial to strengthen your skin’s defense abilities against harsh free radicals in the environment. That’s what this protective facial mask does over night. With cilantro and orange extracts, it rejuvenates your skin barrier and makes sure it’s hydrated with essential nutrients that it’s often depleted from as a result of damage from the environment. If you’d prefer to use an overnight beauty product that’s extra gentle on your skin the night before your wedding, this drug store-bought mask is a must-try. Its lightweight, non-greasy, non-comedogenic formula deeply hydrates and nourishes your skin while you catch Zs. It’s also hypoallergenic, so it’s ideal for all skin types and skin conditions. Putting tomatoes on your face doesn’t sound very appealing, but this tomato-infused mask might have you thinking otherwise. Tomatoes are packed with vitamin C, which brightens and tightens your skin, as well as detoxifying charcoal and salicylic acid to clear up any breakouts you may have going on or prevent any that might be occurring. It absorbs easily and you can use it as both as a spot treatment and an all-over mask.